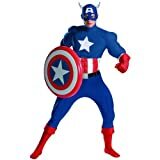 Looking for Captain America toys and other items? This article looks at cool Captain America products you can buy. This article looks at Captain America gear you can buy such as movies, toys, books, and more. This is the Blu-Ray disk from the Captain America movie, it contains deleted scenes and behind the scenes features. The disc also explores the Marvel universe. Captain America leads the fight for freedom in the movie starring Chris Evans. 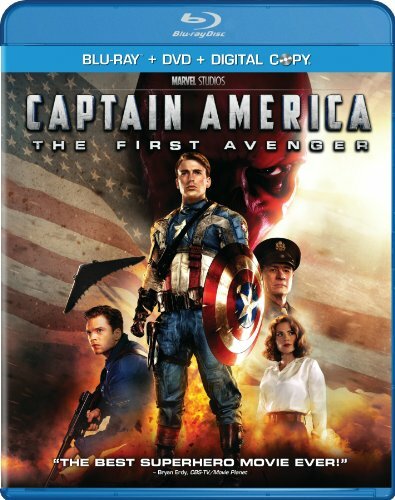 There is also a plain DVD version of Captain America The First Avenger available if you only have one of those. Great movie for any Captain America fan. 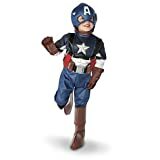 This electronic Captain America figure, has active lights, battle sounds and various phrases. He carries a shield and a grapple launcher to defeat the enemy. You can attach the shield to his back and launch the grappling hook. battle the way to victory with this cool figure. Also comes with a weapon. 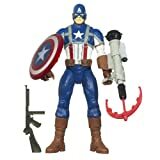 This Captain America figure is very detailed and comes with articulation points so he has various poses. This is more of a display figure than a toy. this is a very nice display piece for the fan of Captain America. The figure stands 3 3/4 tall and comes with a variety of accessories such as weapons. the figure is a great collectible piece and it has various poses for the figure. You'll find a wide variety of various Captain America clothing items.There are some great T-shirts available as well as socks and masks. When great way to enjoy your love of Captain America is with a good costume. Comes with a headpiece and has muscles in the arms and torso of the costume. Cute costume for small children. Only downside is that the costume doesn't come with the famous Captain America shield. Costume has molded muscle legs and torso. This adult suit also comes with the shield and would be perfect for the next office Halloween party event.There are wings on the hood of the costume. This is the ultimate suit for young boys. You get a bodysuit with braces, epaulets, glow in the dark star and a stomach that is muscle padded. Accessories in the set include boot covers, mask, and a belt. Great set for any young boy who want to be a super hero. yhe hard part will be getting him out of his favorite suit! There are literally dozens of great Captain America comic books based upon this character. Captain America, Vol. 1 is a great paperback book and collects the comics from the 1960s in one volume. Captain America: Prisoner of War follows Bucky Barns as he puts on the costume once worn by Captain America. This book reprints issues reprints issues 616-619. You can spend a lot of time looking for the right comic book to fill a collection. 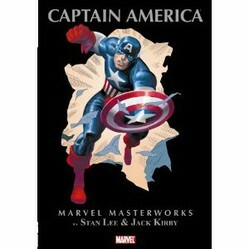 There is a great listing of the Captain America comic books on the Marvel Wikia. Most of these comics can be purchased online in collections through sites such as Amazon.